Our Christmas zombie chia lady started to get sort of gross for real. She was always kind of gross, particularly as we didn't get the hair on the top of her head to sprout, only the hair on the sides. And then it started to grow forward because that's where the heat from the fireplace rose up. But eventually the sprouts started drooping into the gel-like water and rotting. 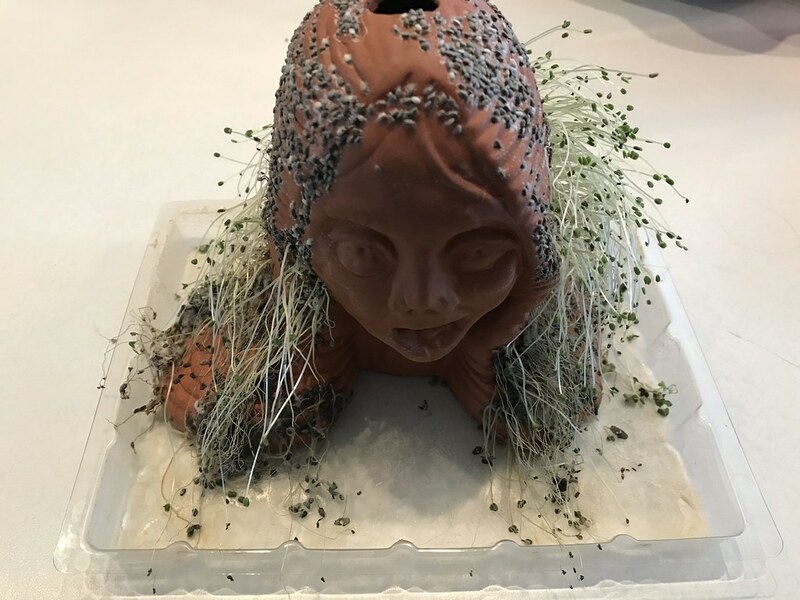 Zombie sprouts on a zombie head. Nasty. She was surprisingly difficult to clean. Even now I think there are some seeds that won't come off. Life is tenacious. Undead life even more so.